FC Goa collected their first points of the Indian Super League (ISL) 2016 season on Sunday night, as fortune finally sided with them in a match saddled with fouls and stoppages at the Rabindra Sarobar Stadium in Kolkata. 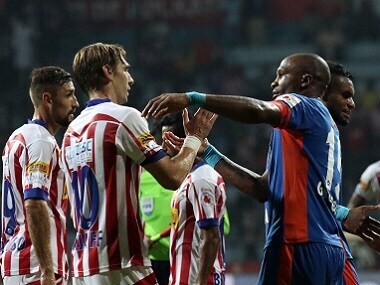 Zico's men had the lucky break, not once but twice, as refereeing decisions played their part in denying Atletico de Kolkata a win. The hosts were the better team for most of the 90 minutes, and will rightly feel aggrieved at dropping two points, even as FC Goa celebrate featuring on the points tally. Lining up in a 4-3-3 shape, Goa welcomed back Gregory Arnolin into the side and had a changed look at both ends of the pitch. Striker Robin Singh was handed his first start, as was goalkeeper Subhasish Roy Chowdhury, who replaced the out of sorts Laxmikant Kattimani. As expected, Robin Singh was showing signs of rustiness in his first ISL match of the season. Jofre and Rafael Coelho, who started alongside Robin in a three-man attack, were often collecting the ball from their own half, leaving the striker isolated up top. Goa's build-up play was chaotic, and far too often there was a lack of access to the front players. 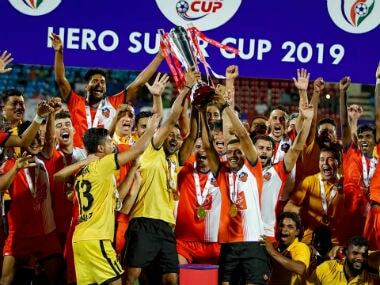 Atletico played with a double pivot of Borja and Stephen Pearson, and almost always had five men behind the ball during Goa attacks, meaning last season's beaten finalists lacked pace and looked one-dimensional. Inside seven minutes, Subhashish was picking the ball out of his net after Sameegh Doutie pounced on some slack defending at a set-piece to give the home side the lead. 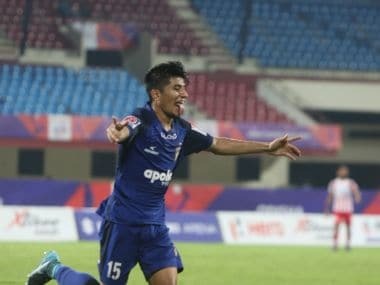 Goa were still to settle into any sort of rhythm when the opening goal came, and the game was intensely physical from the minute when Arnab Mondal left an elbow on Jofre's midriff; it was no surprise that both teams ended the match with 10 men each. Goa started the second half with more incentive to attack and were handed a lucky break when Pearson was sent off in the 51st minute. The stage was set for the visitors to overturn the one-goal deficit, but as has been the narrative for them this season, Goa were themselves reduced to 10 men just minutes later, when Sanjay Balmuchu saw red. It was a familiar case of Goa not hitting the right notes when the tide turned their way, but another intervention by the referee in the game's final quarter hour meant they were handed one more lifeline in their pursuit of taking something away from the game. A dubious handball decision against Borja irked the home side and their support, but Jofre, who had been the best Goa player on the pitch by a mile, calmly netted the resulting penalty to make sure his side did not stretch their run of losses to four games. It was a far from fluid performance from Zico's side, who had identified themselves as the league's foremost attacking team in the past seasons. They displayed less flair and more hustle, and the physical nature of the game perhaps suited them more than the hosts. In a game which saw a combined total of 37 fouls, eight yellow cards and two red cards, it was fitting that Goa were happier with the result. 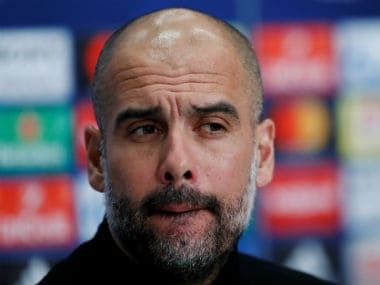 For a team which had espoused free-flowing football in the past two seasons, the fact they had the last laugh in one of the dirtiest games of the season shows how quickly dynamics can change in a result-driven business. Next up for Goa is a trip to Mumbai on Friday. With their tails seemingly up following an less than deserving point, Goa will look to kick their season off in a positive way following an early season blip, and some more luck will be welcomed with open arms.